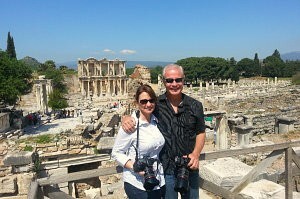 This is the best tour if you have one day at Ephesus. We can meet you at your hotel or if you are coming by a cruise ship we can meet you at the harbor as well. After visiting the sites you will be transferred back to the cruise ship on time. 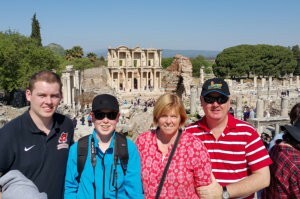 Unlike most of the tour compnanies we will include Terrace Houses at Ephesus to the tour. 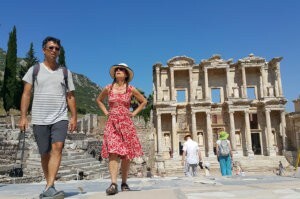 THE TOUR COVERS: Ephesus, Terrace Houses in Ephesus, Virgin Mary's House, Sirince Village, St. John Basilica and Temple of Artemis. You will be met by your guide in your hotel reception. Our first stop will be the The House of the Virgin Mary. This house loated in the hills above Ephesus is reported to be the final resting plae of the Virgin Mary. Seen as a Christian pilgrimage site it has been visited by Popes, Kings and paupers alike. 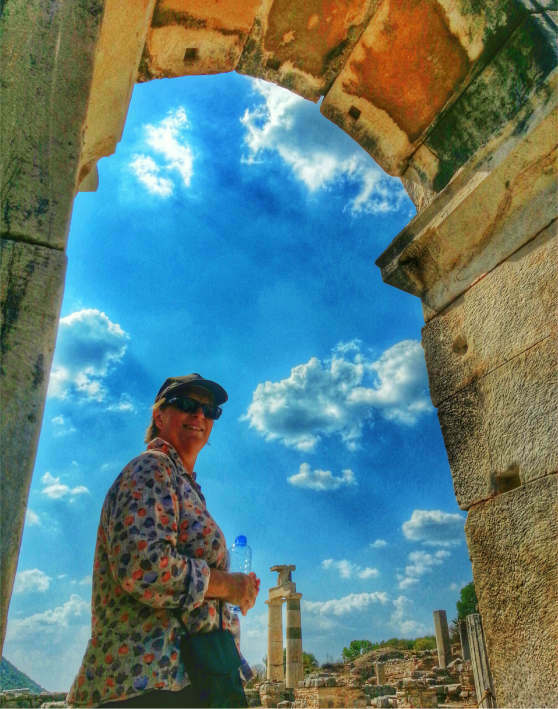 We will continue to Ephesus, the best preserved Greco Roman Hellenistic site. Still to this day less than 25% has been excavated. 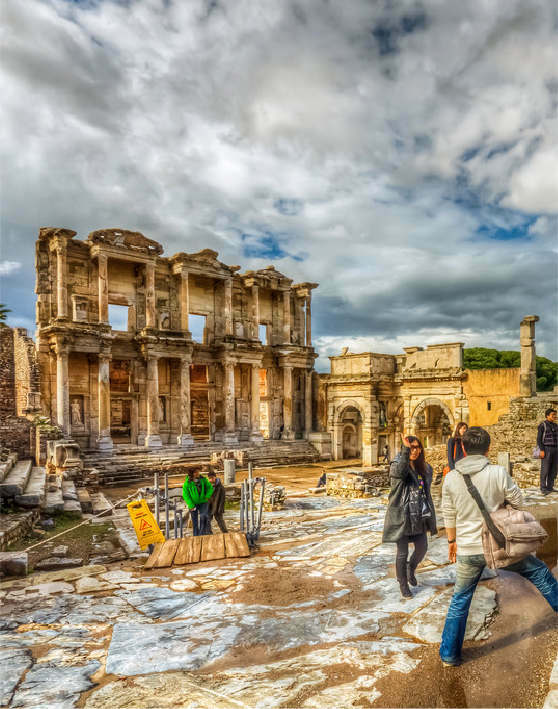 It’s highlights include the 25,000 seat ampitheatre, the marble road, the Library of Celsus, Terrace Houses, even the public lavatories and the house of ill repute. 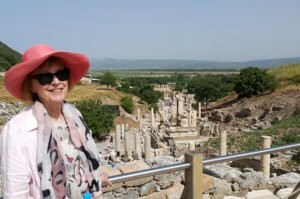 From here we will drive back into the ancient past to Selcuk to visit the site of one of the Seven Ancient Wonders of the World, the Temple of Artemis. 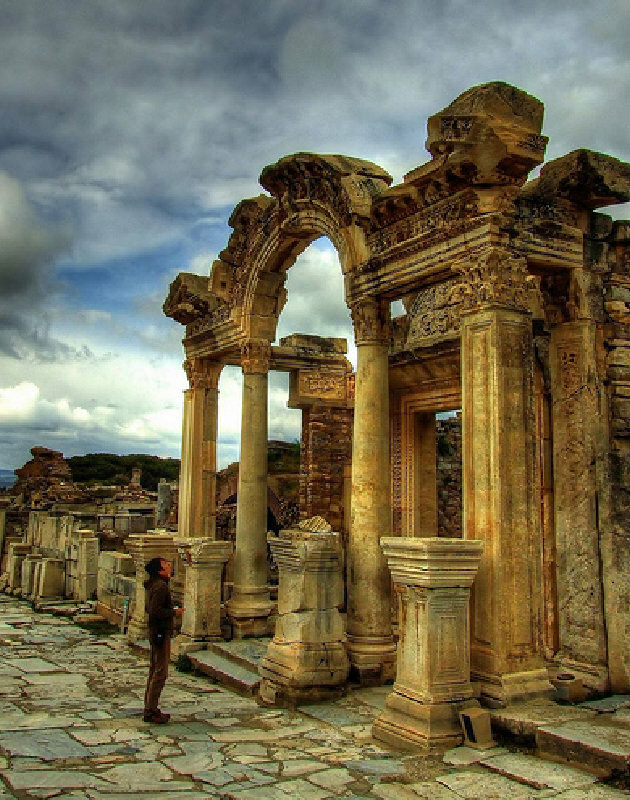 Not much remains of the one largest and most beautiful temples of ancient times, in fact most of it was dismantled and shipped bak to England. 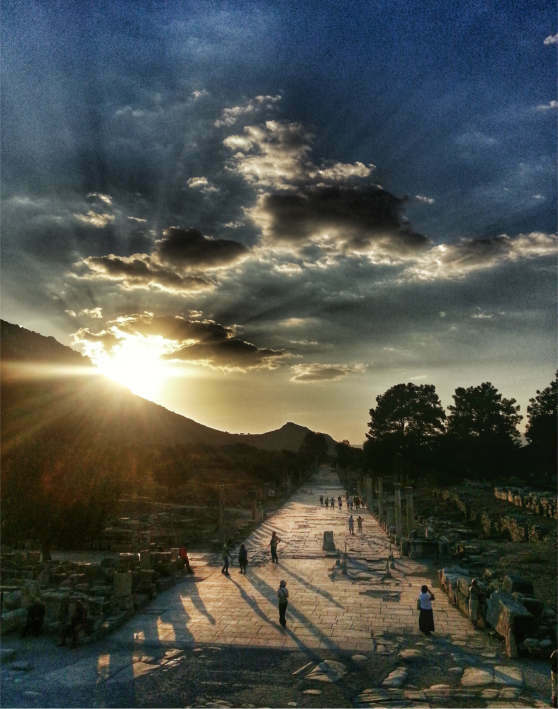 Your guide can offer a vivid description of the site as if it still stood where it was built.